I’ve long been a fan of mochi-covered ice cream. I love them all: from uber-cheap local brands to imported Japanese classics like Yukimi Daifuku. So, given that I also love Fruits in Ice Cream, Mochiko, FIC’s version easily hit it out of the ballpark. MMMilk Tea! It’s your trendy tea shop milk tea in munchie form. 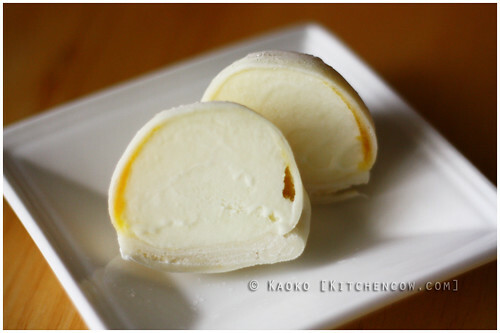 Mochi, a chewy, stretchy rice cake made from glutinous rice, wrapped around a ball of ice cream isn’t a new concept in Japan. First created by Lotte as Yukimi Daifuku, the addictive confection soon spread throughout the world — a testament to its universal appeal. 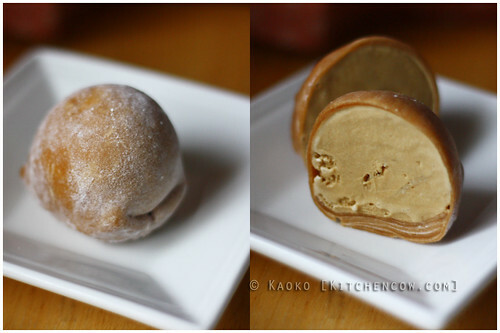 Cookie dough mochiko: okay but could be better if the cookie dough bits were more dough-like. One of the first brands to start the mochi-covered ice cream trend in the Philippines is Mochiko. Before them, the mochi-covered ice cream was available mostly from Japanese groceries (yukimi daifuku) and high-end imported ice cream brands (Haagen-dazs). With Mochiko, you can finally choose from a wide selection of flavors, some of them quite unique in themselves. Ice cream flavors like green tea, black sesame and adzuki — not the ones you’d usually find in your supermarket’s freezer — all stand in a proud parade, enrobed in a thin layer of chewy mochi. The ice cream itself is pretty good; it’s from Fruits in Ice Cream after all, a premium local brand that doesn’t skimp on flavor and quality. Encased in their mochi skins, the ice cream experience is elevated into something that’s not only fun, but is also texturally exciting. Mango Yogurt: Yogurt coated with luxurious Fruit Garden artisanal mango jam. Among my favorites are milk tea, adzuki and strawberry, but really, most everything is good. The milk tea is a flavor bomb of creaminess and fragrance, with the scent of tea teasing you with every bite. The adzuki makes me think of a high-end version of the el cheapo streetside ice popsies from my childhood; adzuki is just sweet red mungo after all. And strawberry. I don’t think you can ever go wrong with FIC’s strawberry. Ever. 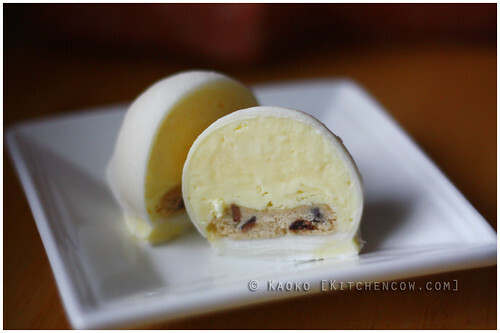 Mochiko Mochi Ice Cream is an interesting treat you’ll want to try out of curiosity. But I warn you, it doesn’t stop there. I, for one, have “taste-tested” it repeatedly and still can’t get enough. So, consider yourself warned. For a listing of where to find Mochiko, check out the Mochiko Branch List from their official website. Tried the Black Sesame. It tasted exactly like espasol. Hahaha, I didn’t think of that, but now that you mention it, it kinda does!